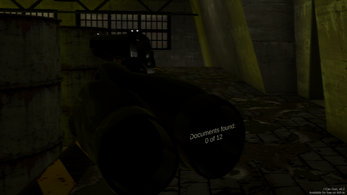 The game is playable using Mouse+Keyboard and/or in VR (HTC Vive, Oculus Rift). 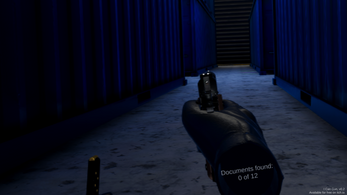 Experience a first-person shooter with a twist: You will need to operate your weapon in full detail (press F1 in-game to toggle an interactive help) while scavenging a procedurally generated level protected by machines that don't even know what mercy is. At this early stage the project still is rather close to a game called Receiver that inspired this project in various ways. Of course, I Can Gun has been created from the ground up by myself and I plan to expand on the concept even further. If you are experiencing performance issues you can try to select a lower graphics quality in the dialog you see on every startup. I am one of the Steam testers for this game, I love it! This is one of the rare games that focus on gun mechanics while being a good game. 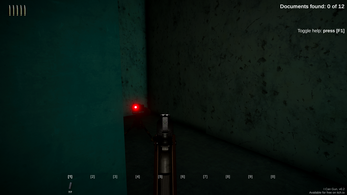 This game is early access and is being updated regularly by the dev. Normal Gameplay - Where you have a gun, trying to kill all the bots around the area. 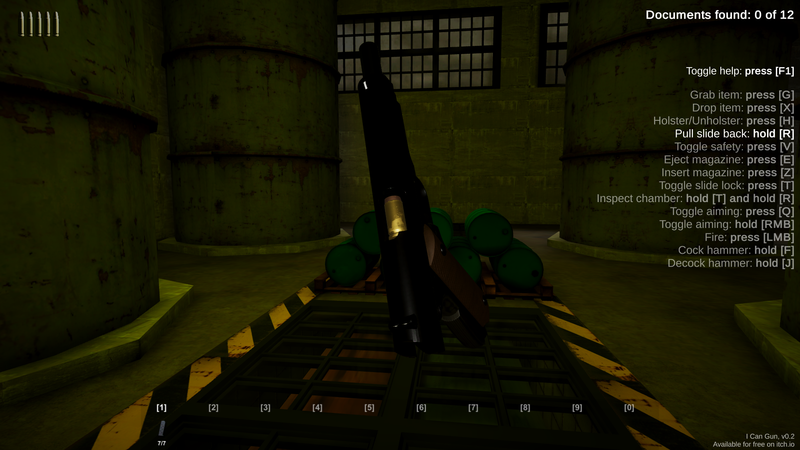 Testing Scene - Testing guns for the game, fun to mess around in. Killhouse - Try and kill all the targets as fast as you can. 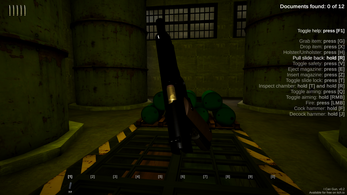 The guns can jam if there is a bullet stuck in the chamber, making it even more realistic. I think this game is worth it. This game has 1 thing I think should be added for new players, tutorial - especially for PC version, it took me a while to get the controls. Overall this game is worth putting onto your wishlist and once it comes out, I recommend getting it. Why do you die in a single bullet? The game wouldn't be very exciting if you could take multiple hits and run through the levels carelessly. I'm not saying to add alot of extra health but it would be nice to be able to take maybe a extra bullet or two. I agree that having little health makes the game fun and adds an extra edge to the difficulty. I just find dying in only one hit to be slightly annoying. This game is really good, downloaded it just to see what it was and was utterly impressed! 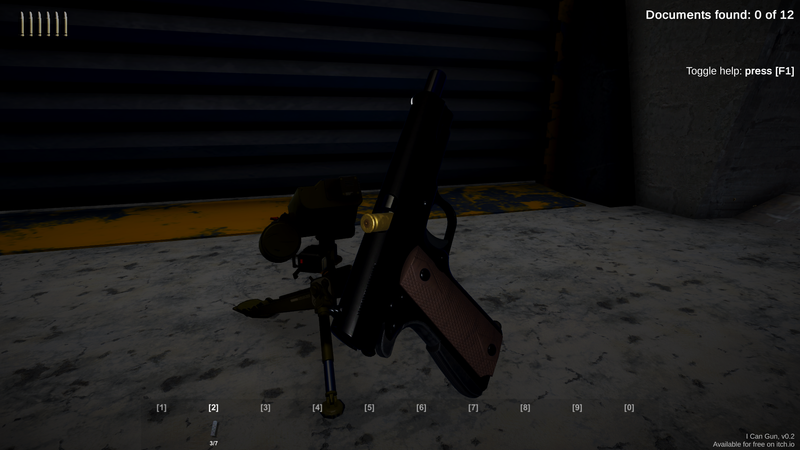 I really love how the gun works in VR, and also that it works the same and just as realistic in desktop mode. You can play 2 player multiplayer on the same PC. one in vr and one in desktop mode which i think is absolutely awesome! However i do agree that the lighting is very dark, and some more guns would be awesome. Love this game, Keep up the good work Patrick. Edit: I saw that the game is on steam, do you know when it'll come out? For the Steam version I'm still working on adding some more weapons and content. Even though it is going to release into Early Access I still want to improve it a bit further. Thank you for your feedback. Makes me very happy that you already enjoy the game in the current state! I haven't decided about the health yet though. However I definitely also want to have some more game modes to use the guns and mechanics in different settings as well. I will definitely consider all feedback. Keep it coming and thank you! Everyone is talking about how cool the game is, and I agree that the gun mechanics are great. But I feel like im missing something when it comes to the enemies. There is no way of knowing where a enemy is without looking, and when you do you get shot, thats a game over. This is freaking amazing! As said in another comment it's so incredibly satisfying with all the ridiculously well designed animations that there's no way to get truly mad when dying. It's an incredible feeling even to get shot, I love the fact that you move a little when you die as well, it's just absolutely amazing! 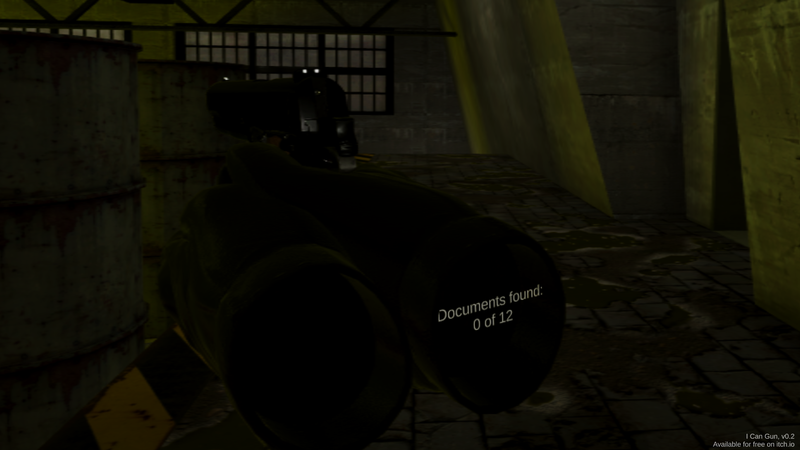 - After hours of playing through it and (due to my extreme lack of skill) only getting 4/12 of the documents when they all spawned right next to each other, I decided to try something really dumb. I shot straight up when met with a room that had a sky. The bullet went up, and twinkled into nothingness. While it lay somewhere so high I couldn't see it, I wondered if it was even plausible for any game to have a bullet come straight back down, I doubted it would work. Then, slowly, it fell and twinkled back into existance. I stood, awestruck, and when I thought this game couldn't get any better, I heard a faint "whizz" as the bullet flew and hit something I couldn't see. Truly amazing. - The stanima bar was realistic, but the fact that you can hear your heart pounding as you run makes it really feel like you get exhausted after running a while, but it's amazing that you've added the stanima bar falling faster when you run up stairs, and jerkily as you jump. I also love how when you crawl you can still run, but not as fast as when you stand. I really like this elemant a lot. - The fact that all enemies have specific weaknesses, the turrets have a spot where it will stop turning, and a spot to disable it entirely. And if you're really too lazy to deal with these weaknesses, you can waste 4-5 bullets on the head and disable it. With the flying drones, each rotor you hit will make it spin awkwardly, the other rotor supporting it alone. If you hit both, the drone falls but remains active, shocking in vain. Really love this! - And finally, of course, the thing I downloaded the game for! The gun mechanics, all the little clicks and clangs, the fact that you can do anything you can in real life with it. It takes serious skill to do anything quickly and effeciently with it, and when a drone is after you, you usually don't have time to reload a whole nother magazine. It's all so satisfying! Again, all of these elemants combined make it impossible to get angry when you die, you just smile and try again. Knowing you'll probably never get all 12 documents, but not caring. The game is so good, infact, you aren't playing to win. You're playing to continue experiencing the clicks and clangs, the moments of terror at running out of ammo, and the pure realistic and extremely fun scenario you find yourself in. I abosolutely love it. If it's not too much a bother, as it seems you've taken no corners in designing easily one of the most satisfying FPSs I've ever seen out there, please, continue working on this. Do what the description suggests you planned to do, and move beyond other simulators, making this a real game using all of these awesome mechanics. I know you probably won't read this all, but thank you so much if you did. -sincerly, a very drone-shot fan. Actually I always try to read all the comments and positive comments are always a huge motivation booster! Thank you for that! Also makes me very happy that you noticed the ballistics in the game. I really tried to make them somewhat accurate and realistic. 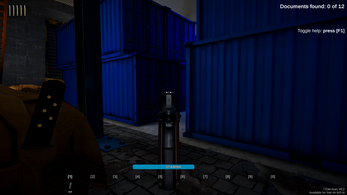 Theres also ricochets that can especially be dangerous in the container level. I will absolutely continue to work on this game. Thats why I already got the Steam page up. Really would love to know what your vision is for the game? What would you like to get added or changed? I think more guns are a no-brainer. I suppose a Shooting Range would also allow to test all the weapons in a chill enviroment without any game goal. So that is also something I would like to do. Maybe you got some more ideas to make this a real game! this is awesome! plays well, mechanics are smooth and the graphics are quite good but i do agree that it is quite dark and that more guns that you could find through the levels would be amazing . Are you playing with mouse and keyboard? 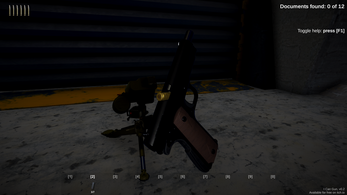 In order to add/remove bullets you need to put your weapon into your inventory and you need to equip the magazine you wish to add or remove bullets from. Then the key for doing so is the same as inserting/ejecting magazines. Very nice. Love the effects, the tracers, the gun sounds and such. This game REALLY needs to be brighter, though. Enemies blend into the environment a bit too much. 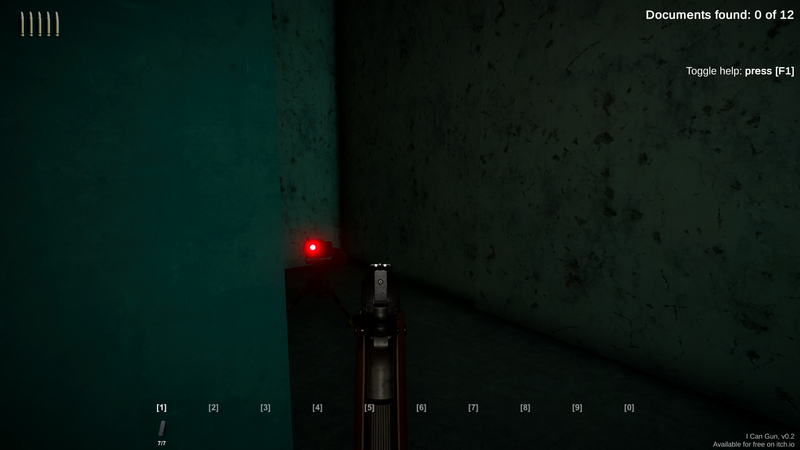 A flashlight would be nice. This game is receiver but with a few slight changes and a VR version. It's pretty good. Whats the music for the game? I played your game and loved it! Good gun mechanics! I'd like to do another video, any tips for not sucking as much? My brother gave it a shot! I loved Receiver even though I was terrible at it, and am very excited and eager to see what you add to the formula. I've been enjoying the game so far, though I do miss the John Carpenter 80's esque themed color and environment. This is a respectible showing and I look forward to seeing more updates. Find a more distinct visual style? I know it's very early in the projects but the colors, setting and music of Receiver helped make it great. I just played this game in VR for a few hours straight. While I only managed to get 7/12 documents, at most over many runs, I had so much fun doing so that I didn't even get that mad when I died. This game makes me feel like a special agent or something and I absolutely love it! Only had my VR gear for a few months now, but I've been playing a lot. This is easily one of the most enjoyable experiences I've had in VR and the feel of the gun controls is phenomenal. I wish more VR games had this level of detail. It really helps you get immersed. Very fun and tense game. Keeps you on your toes as you manage your ammo and hear those motors and beeps in the next room, knowing you have to time them just right. playing on vive and gun works good once you get the hang of the controls. Absolutely awesome. Can't wait to see updates, one of my favorite VR experiences so far (and I've been in VR for a year!). I finally got all 12! 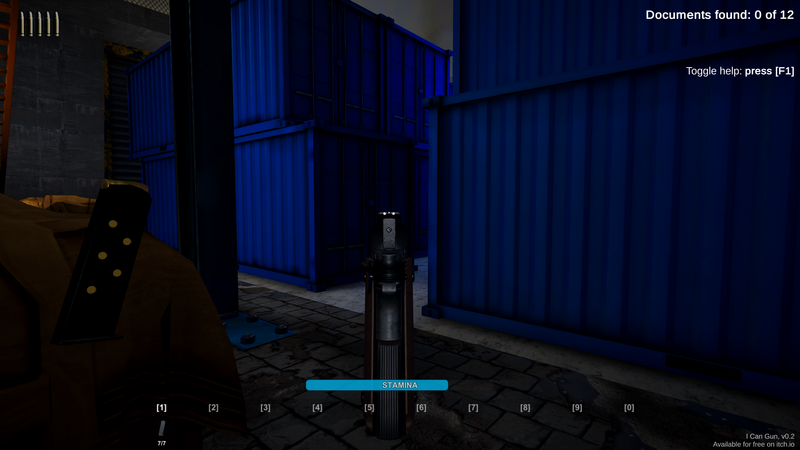 Some feedback: I noticed some strange glitches with turrets being upside down, usually around the shipping container area. Please consider adding more guns, or patrolling humanoid enemies! Thank you. Thats great feedback and really motivating!